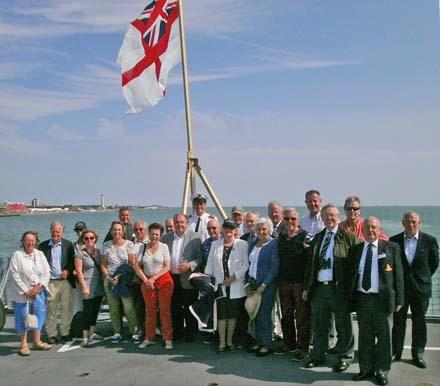 On a bright sunny and calm day we boarded HMS LANCASTER at Portsmouth Harbour for their Affiliates Day on 30th July 2014. There were over one hundred guests including some twenty four Feltmakers and their partners. 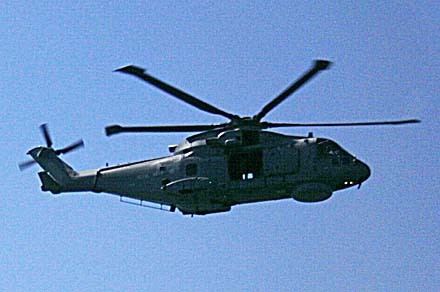 Amongst the party were the Mayor of Lancaster and Brian Triptree accompanied by his son who had generously bid in the auction for a day on board HMS LANCASTER at the Master’s Charity Day at Ascot in 2013. We were welcomed by Commander Peter Laughton who outlined the programme for the day and then split into groups for a tour of the ship. 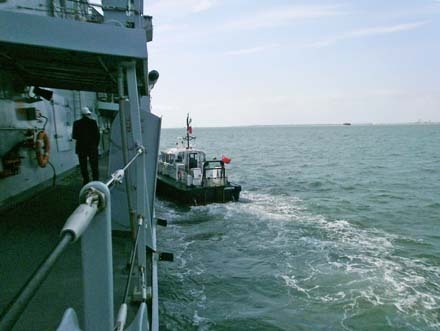 We immediately set out to sea, being towed by two large tugs and were privileged to see the demonstrations of the ships capability and its fantastic turn of speed off the Isle of Wight. 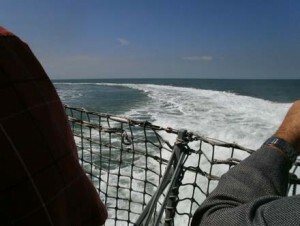 We experienced the ship doing a figure of eight at almost full speed with the frothy sea boiling up behind the stern. Standing up straight on deck was difficult to achieve! Two helicopters flew out to demonstrate their manoeuvrability and dexterity as the rotor blades created masses of spray close to the ship. HMS Tyne, a River Class patrol vessel did not want to miss out in all the action and sailed in convoy for a short time. 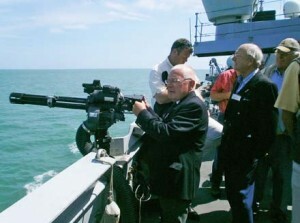 After lunch the best treat was to come – we donned earplugs to see the firing of the guns; but only a dummy run! The noise was stunning and the clouds of smoke issuing from the ends of the tubes were a reminder of the real purpose of the ship – to defend our nation and our economy. 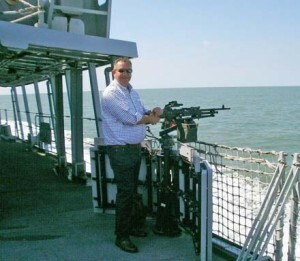 The exposure of standing on the bridge, involved in the action of being constantly on the alert from a possible attack at sea was enlightening. The numerous times we climbed up and down the many metal ladders must have been so fulfilling for those wishing to keep fit! We thank Commander Peter Laughton, the Officers and all those involved in making us so welcome in such a friendly manner and giving us to such an informative, spectacular and wonderful day. The hat presented by the Worshipful Company of Feltmakers to the Queen in 1991 still has pride of place in its glass cabinet. 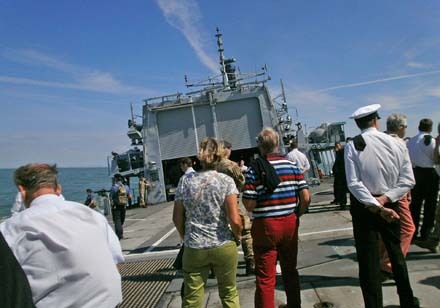 Our affiliation with HMS LANCASTER is an important part of our Livery ethos and I would say to all Feltmakers – an invitation not to be missed!